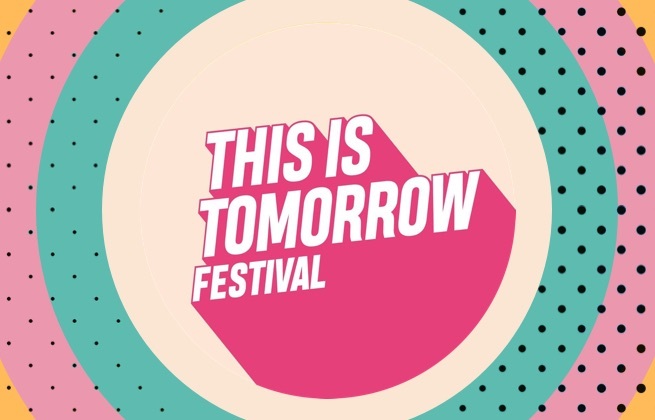 This ticket allows general access to This is Tomorrow 2019 across the weekend, Friday 24th May - Sunday 26th May. This ticket allows general access to the Foals event during This is Tomorrow 2019 on Friday 24th May at 16:00. Please note that this ticket is only for the event listed above and admission into the other days for This is Tomorrow must be purchased separately. This ticket allows general access to the Noel Gallagher event during This is Tomorrow 2019 on Saturday 25th May at 13:00. Please note that this ticket is only for the event listed above and admission into the other days for This is Tomorrow must be purchased separately. This ticket allows general access to the Stereophonics event during This is Tomorrow 2019 on Sunday 26th May at 13:00. Please note that this ticket is only for the event listed above and admission into the other days for This is Tomorrow must be purchased separately. 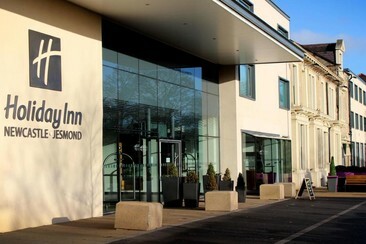 Holiday Inn Newcastle - Jesmond hotel is located at the edge of Newcastle city centre. Getting into town is easy, with buses and Jesmond Metro station a 2-minute walk from the hotel. You can walk to matches at St. James' Park stadium in 20 minutes and Newcastle International Airport (NCL) is a 10-minute drive. Live music at Metro Radio Arena is within easy reach, as is the buzzing Quayside district. Established in 1884, The Great North Museum: Hancock is a museum of natural history and ancient civilisations just a short walk from the hotel. Newcastle and Northumbria Universities are nearby. The good-value rooms at the Holiday Inn Newcastle – Jesmond have iPod docks and TVs that allow programmes to be saved and viewed later. You'll get a good night's rest in a comfortable room with a choice of pillows, and in the morning you can wake up to a full English breakfast. 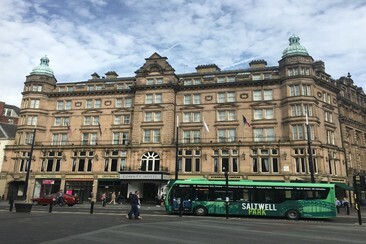 The County Hotel is one of Newcastle's original hotels dating back to 1874, located directly opposite Newcastle train station and within close proximity to the main shopping spots, museums and cultural attractions. The O2 Academy and Metro Radio Arena are both within a 10-minute walk of the hotel. the property is just 10 minutes' walk from the restaurants, bars and theatres, as well as the vibrant Quayside area. St James' Park, home of Newcastle United FC, is a 10-minute walk away. The nearest airport is Newcastle Airport, 12.1 km away. All rooms offer a flat-screen satellite TV, an in-room safe and tea/coffee making facilities. Private bathrooms each feature an over bath shower and a hairdryer. Free high-speed WiFi is available throughout. This is Tomorrow brings some of rock and indie's biggest artists to Newcastle, with 2019's lineup topped by Foals, Noel Gallagher's High Flying Birds and Stereophonics. After an incredible debut last year, the festival returns, but this time at a brand new venue – Exhibition Park – promising an even bigger and better festival out in the Spring sunshine. The festival will take place inside Exhibition Park, just a short walk from Newcastle city centre.